Leo Garcia is a multi-talented award-winning playwright, actor, filmmaker, producer, teacher, and activist and has served as Highways Performance Space's Artistic Director since 2003 where he has developed and presented over 500 performance works. He received his Bachelor of Fine Arts degree from Virginia Commonwealth University followed by a yearlong apprenticeship at Actor’s Theatre of Louisville. He received his Master of Fine Arts degree from the Asolo Conservatory in Sarasota, Florida. As a playwright, Garcia has chronicled his family’s genealogy, ten-generations of New Mexican family history, in his cycle of plays entitled The Abduction of Hernan Cortes: The New Mexico Cycle. The cycle explores the themes of abduction: of land, of self, and of alien abduction, and follows the lives of five New Mexican families from 1598 to present. Garcia’s plays have won awards from The National Endowment for the Arts, Theatre Communications Group, New York Foundation for the Arts, Mark Taper Forum, South Coast Repertory, The National Hispanic Media Coalition, and MCA/Universal. His works have been presented by numerous nationally-established companies and presenters, including New York's Theater for the New City, The New York Shakespeare Public Festival, The Jewish Repertory Theatre, International Arts Relations Theatre (INTAR), The Los Angeles Theater Center, The South Coast Repertory Theatre, The Tiffany Theatre, and Santa Fe Stages, among many others. As a young person, Garcia was influenced by the presentational, didactic, agitprop plays he discovered in a little red book of “actos” by El Teatro Campesino and was inspired by the hopes and optimism he witnessed in Shirley Temple films. He was often at odds with the extremes of his interest. On one hand, he sought to dramatize the sociopolitical, material, and cultural issues of the exploited, and on the other hand, he hoped to sing and tap his way to Hollywood stardom. Garcia began his social activism at age sixteen, when his father sent him to work as an apprentice recruiter for a federal program funded by the Office of Economic Opportunity. Garcia’s job was to assist in the recruitment of high school aged children of agricultural workers from the rural communities of Colorado and to orient them to the real possibilities of achieving higher education. Garcia continued his community service through his high school and early undergraduate years and came to believe that the spirit of service is not only an asset, but also a requirement. Though inclined to pursue a career in the social sciences, Garcia never forgot the impact that the works of El Teatro Campesino had on him nor did he forget his joy in the magic of Hollywood. As Garcia navigated through college, he pursued the theatre as a way of having it all, a form of a political and social education, he thought, as well as a theatrical one. This mix of influences created a syncretism that satisfied his needs. After receiving his MFA, Garcia moved to New York City where he worked as an actor and playwright. His thesis project, a play about the relationship between Nathan Leopold and Richard Loeb and their psychological crime was optioned for a workshop at the Jewish Repertory Theatre in New York City. That same play was submitted to internationally acclaimed playwright and director Maria Irene Fornes for consideration as playwright in residence at the International Arts Relations Theatre (INTAR), where Garcia served five residencies under the direction of Ms. Fornes. Garcia worked for many years with his mentor Ms. Fornes, as writer and actor and has been directed by her in her plays in New York, Los Angeles and Siena, Italy at the Dionysia World Festival. Fornes also directed Garcia's play, "Dogs," at West Coast Ensemble Theater in Los Angeles. While in New York, Garcia also pursued his career as an actor. He has appeared in over 30 off-Broadway and regional theatre productions. While in New York, Garcia also hosted the Emmy nominated NBC Special, Another American. Garcia’s television work brought him to Los Angeles, where he guest starred in episodic television and was a regular on a daytime drama series. As a filmmaker, his film, "A Rainy Day," was distributed by Universal Television and was shown in festivals nationally and internationally. While in Los Angeles, he served as an artist, teacher, director and producer for numerous productions and classes at Highways Performance Space; resident playwright with the Mark Taper Forum's Latino Theatre Initiative; and project artistic director and playwright with the community-based San Diego Playwrights Project. Garcia has also been a fixture on the Los Angeles alternative performing arts scene for many years, one of a handful of artists who represent a fully developed, professional approach to multidisciplinary work. Out Magazine recognized Garcia as one of the OUT 100 of 2005, a list of the year's most interesting, influential, and newsworthy LGBT people as a result of his many contributions to the arts as well as his indefatigable activism on behalf of alternative artists and the alternative arts community through the support and presentation of their performance works and in service to the community at large. The HARC Foundation considers it a great privilege to recognize and honor Leo Garcia for his unique and extraordinary contributions to the Arts and to humanity. 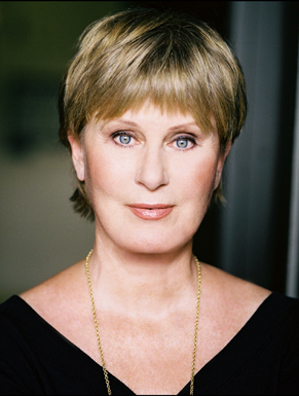 Susan Clark studied at the Royal Academy of Dramatic Art in London. In her native Canada, she appeared in Hay Fever (Crest Theatre); Man and Superman and Misalliance (Shaw Festival); and starred in seven CBC Festival productions, including The Taming of the Shrew, Mary of Scotland and Hedda Gabler. A contract with Universal Studios brought Ms. Clark to Los Angeles where she starred in 20 feature films including “Tell Them Willie Boy is Here”, “Coogan’s Bluff” and “Night Moves”. She studied with Stella Adler and returned to the theatre frequently, appearing in The Second Man, Sherlock Holmes The Animal Kingdom and Amphitriyon 38 (Williamstown); Getting Out (Mark Taper Forum); Macbeth (Seattle Rep); Eleanor in Lion in Winter and The Vortex (Walnut Street Theatre); The Sisters Rosensweig (George Street Playhouse); Afterplay and the World Premier of Bicoastal Woman (Pasadena Playhouse); and, also, the U.S. Premiere of The Body and as Pauline in Triptych by Edna O’Brien at The Matrix in Los Angeles. Her roles at the Rubicon Theatre, Ventura include Amanda in The Glass Menagerie; Mrs. Dudgeon, Devil’s Disciple; Kate, Dancing at Lughnasa; and Lady Bracknell, The Importance of Being Ernest, Agnes in A Delicate Balance and Rockaby at the Beckett Festival. Staged Readings for Rubicon Fundraisers include Lettice and Lovage and Christmas Memories. At the Manitoba Theatre Center, she has played in Retreat From Moscow and The Importance of Being Ernest. Susan starred in over a dozen MOW’s including ”The Choice”, Amelia Earhart” (Emmy Nomination) and “Butterbox Babies” (Gemini Nomination) as well as the CBC series “Emily of New Moon”. Among her favorite portrayals is the title role in “Babe”, the story of Olympic gold medalist and golfer, Babe Didrickson Zaharias, a role that won her an Emmy as Best Actress. Aong with her husband, Alex Karras, she appeared in 150 episodes of the long running series, Webster. She works actively for environmental and social justice issues and is a recipient of the “Women For” Achievement award, the B’nai B’rith Women’s “Dove of Peace”, the National Women’s Political Caucus Bread and Roses Award and the United Nation’s Ralph Bunche Peace Award. She has also been honored by Physicians for Social Responsibility for her work in protecting the environment and by CARECEN for her work for social justice. The HARC Foundation is honored to recognize Susan Clark for her outstanding contributions to the Arts and to the Community. A native of Nashville who came to Los Angeles at 18 to study music at Cal Arts and later at UCLA, Russ Freeman and the Rippingtons have helped define and redefine the musical standards in “smooth jazz”. Russ’ first solo album, Nocturnal Playground (1985), Jazziz Magazine declared a “masterpiece” and the most influential contemporary jazz recording of all time. In January 2000 at the Oasis Smooth Jazz Awards in Dallas, Russ joined Bob James and Herb Alpert as a recipient of the Lifetime Achievement Award. 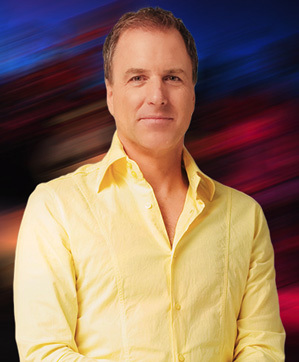 A true icon of the genre, Freeman as leader, songwriter and producer of The Rippingtons has given smooth Jazz some of its most classic melodies and an amazing catalog of #1 Contemporary Jazz chart hits. While the Rippingtons continue to be one of smooth Jazz’s most commercially successful bands, Freeman continues pushing the stylistic envelope to new and dynamic limits each time out – allowing his audience to partake in and share his passions along the way. Russ Freeman and the Rippingtons have long understood how the arts, and in their case their music, can inspire audiences and, specifically, can powerfully impact physically and psychologically disabled young people. It began with a series of fan letters explaining how individuals in their families were being helped by The Rippingtons’ music. The HARC Foundation salutes Russ Freeman for his recognition of the healing power of the arts and his efforts with the Rippingtons to share that power for children in need everywhere.